Ski Vacations in Utah – Which Resort is Right for You? Snowbird? Alta? Park City? Or Deer Valley? Utah is the home of a number of ski resorts, including Park City, Deer Valley, and Alta. Even if you don’t have a lot of money, you can still enjoy ski vacations in Utah. Since there are so many resorts, you shouldn’t have any problems finding a vacation package that suits your budget. Some of the destinations are a short drive away from the Salt Lake City International Airport! The reason why The Beehive State is so popular when it comes to ski vacations is the unique snow in certain areas – especially near the Great Salt Lake. Moisture is soaked up in snow storms as they pass over the lake. When snow is finally dropped on Snowbird and Alta, it’s in a unique powder form! This makes skiing very, very fun. The snow in these areas is some of the driest and powder found anywhere! These two resorts are serviced by UTA buses. There are bus pickups throughout the area, although you can rent a car if you want more flexibility. Both Snowbird and Alta are located up Little Cottonwood Canyon. Alta is the ultimate destination for advanced skiers. It’s a big resort with breathtaking scenery. There are over 2000 acres of terrain. The vertical drop is impressive at 2020 feet! Approximately two-thirds of Alta’s terrain is rated expert or intermediate. For families and beginners, Snowbird is the better choice. It offers more terrain and trails. Skiers can also expect luxuries such as boutiques, shops, restaurants, and lodging. The vertical drop is 3,000 feet and peak elevation is more than 10,000 feet! There is more than 500-inches of snowfall every year. Park City offers more 3,000 acres of some of the greatest snow on the planet! The 108 trails offer a variety of terrain. During the 2011/2012 season, the prices vary depending on age. If you’d like to take multiple trips to Park City, be sure to get the Season Pass so that you will save money on multiple visits. There are dozens of hotels and cabin rentals available. 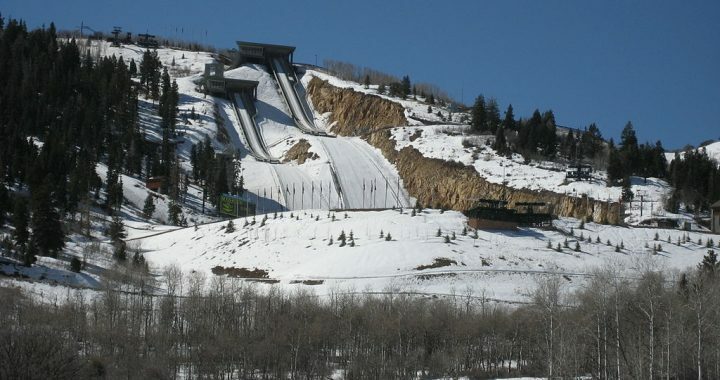 Last but not least, there is Deer Valley! This site boasts a 3,000 foot vertical drop and more than 1,700 skiable acres. The resort has a reputation of high quality customer service, restaurants, and accommodations. Deer Valley offers more than skiing. Some of the packages include golfing! There are golf courses in the area that are open 11 months of the year. Nightly rates begin at $140 a week. You might be able to save money if you take advantage of online discounts! Now that you have some ideas of ski vacations in Utah, you can begin planning your vacation! The more in advance you plan the vacation, the more opportunities you’ll have to save money. You can book ski vacations in Utah through Travelocity’s website. Travelocity offers the biggest discounts on ski vacations! Read reviews on all of the hotels, cabins, and condo rentals in all of the resorts in Utah. Posted in Travelocity and tagged ski vacations in utah, travelocity.